In Battlefield 1, the latest installment in the first-person shooter video game franchise, you have the chance to climb through your ranks with good achievements. The more points you gain during the gameplay, the faster you get in the level or rank. You can find out below which methods are the best and fastest. The higher your rank of a class, the more weapons are available to you. 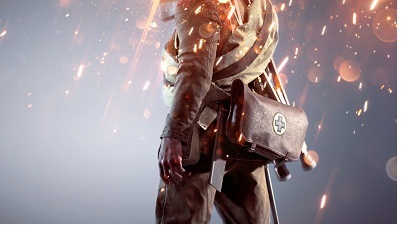 Because it is understandable that many players want to ascend ranks as fast as possible, in order to discover the complete range of all weapons in Battlefield 1. Unfortunately, you need enough war bonds, which you get for the level upgrade. In the editing screen of your class you can see how much points you need to the next level. Before you get into the advantages of level ascents, higher ranks and war bonds, you must first plan. That means you can go through it and get rid of it, for every little success you collect XP. You can earn bonus XP by weekly rotating medals. We'll show you a few ways to get your level and classes clear. With your Squad you get more points for every little success. Even if a team member in your proximity spawns you get XP. You can set squad targets and meet them together. Revenge a fallen comrade or revive him. As soon as you work with the green members of your squad you get additional points. Since you can level the classes individually, we recommend that you take a look at each one of them. The game situation can change very quickly in Battlefield 1, which is why you may be able to climb much faster with an aggressive class instead of with a defensive one. However, if you are on the defensive you can get a lot of XP with the paramedic and your Squad. Not only have enough soldiers to heal, but also receive bonuses through team members. However, remember that airplanes and tanks collect their own points. That's why you don’t get any ranks in your chosen class when you are in a vehicle. Each week, other medals are added to Battlefield 1 multiplayer. You can choose the medal you want to earn points before a game. If you release one of the requirements, you can get great XP bonuses. Weekly challenges save your progress so you can always switch between requirements. More detailed information can be found in our article on the medals in Battlefield 1. If you are in a multiplayer game in Battlefield 1, you should not run blindly over the map if you want to level quickly. Through mission objectives you can climb much faster ranks. Forgive the targets for your squad, so the XP will increase even further. Targets can be specific areas that you must occupy, or players and vehicles that need to be destroyed.